India’s beloved food brand, Amul, brings its delectable food products such as the ghee and Gulab Jamun to millions of new-age digital shoppers in the US through our Global Selling Program. For Amul, it was a natural progressive move to go online. With its launch on Amazon, international customers get access to its delicious products such as the Amul Ghee and Gulab Jamun from the comfort of their homes. Amul’s Ghee is currently ranked as one of the top SKUs on Amazon.com in the ‘Butter & Margarine’ category. In September 2014, the ‘Make in India’ campaign was launched by the Indian government to encourage multi-national firms to setup their manufacturing units in the country. Taking on the cue, in May 2015, we launched our Global Selling Program. The idea was to provide a platform that could take the ‘Made in India’ products to consumers across the globe. We created a simple and convenient solution for sellers by not just listing their products online but also by handling imaging, logistics, tax advisory and remittance. Jointly owned by over 3.6 million milk producers in Gujarat with a turnover of over 23,000 crore, Amul’s success story is legendary. It has been a frontrunner in innovation in many ways; be it as the champion of ‘The White Revolution’, channeling profits directly to the dairy producers or through its much-loved one-liners that reflect the mood of the nation. But the primary reason for Amul’s popularity is its product quality, which has remained consistent throughout. 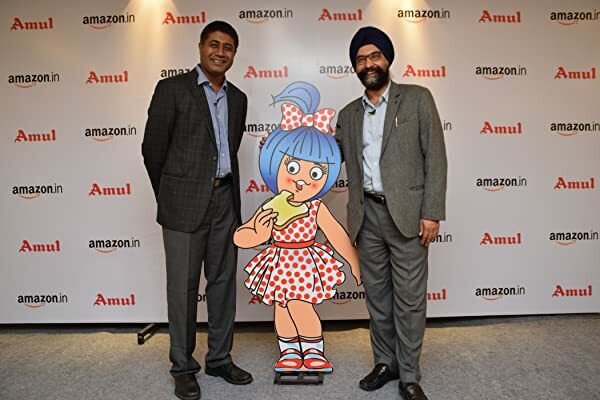 Now, by leveraging Amazon’s knowhow in the online retail space for the last 20 years, Amul has become an Fulfilment by Amazon (FBA) seller; allowing Amul to store its products in our warehouses. We also handle packaging and delivery of orders apart from providing customer service and managing returns; thereby providing an end-to-end solution for a brand to make its presence felt globally. For the Indian sellers – entrepreneurs, SMEs, manufacturers as well as large brands – this is an excellent opportunity to take part in the digital economy and expand their international revenue base. And for Amazon, this is a great step in executing our vision of creating an ecosystem that enables Indian companies to scale globally.